Sign up for Broadjam today to follow Dance Enforcement Authority, and be notified when they upload new stuff or update their news! 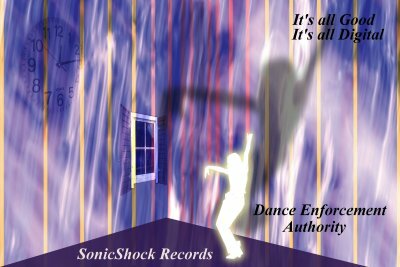 Dance Enforcement Authority records exclusively for SonicShock Records based out of NJ. DEA is a "virtual" band. There are 5 members, only one of whom is "real". That person is Sempai Ichi. The songs of DEA are up-tempo instrumentals with a hard edge. The music touches on hard rock, techno, and even has some jazz and latin influences in there for good measure on a couple of tracks. There are just enough vocals to accent the music. All songs were composed using Sonar for recording and sequencing. Project 5 is used for soft syths. Ozone is used exclusively for all mastering of tracks as well as various audio processing. Our little project studio uses the elite Yamaha Motif workstation and a couple of Event PS6's for monitoring. The number of plug in effects is too high to count.